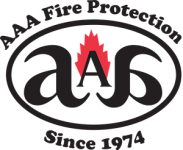 Since 1974, AAA Fire Protection Services, has been servicing Vallejo, CA commercial customers with integrity, honesty and the highest level of professionalism. Our main goal has always been, and will always be your safety. We specialize in sprinkler design and installation, portable commercial fire extinguishers and cabinets, commercial kitchen and industrial fire protection, kitchen and industrial fire suppression equipment and much more! We also offer Vallejo’s top-rated grease exhaust cleaning services and reliable grease filter exchange service that we fit around your busy schedule. Above all else, we are proud of our technicians; they are caring, highly trained and committed to doing the right thing. AAA Fire Protection Services is a family run business. We’re local, your friends and neighbors, and we are not a franchise of a national corporation. Our roots run deep into the area. Over the years, we have served thousands of Vallejo area commercial kitchen, restaurant and industrial clients for their all of their fire protection and suppression needs.